Contemporary dance meets identity politics in the work of Belgian-Moroccan choreographer Sidi Larbi Cherkaoui and British-Bengali choreographer Akram Khan. The work of Belgian-Moroccan choreographer Sidi Larbi Cherkaoui (born 1976) and British-Bengali choreographer Akram Khan (born 1974), two of today’s most prolific choreographers, has in many ways defined the first decade of 21st- century dance. Both choreographers have extensively discussed identity as a significant concern, and both artists have positioned themselves biographically and in practice as working between dance cultures. 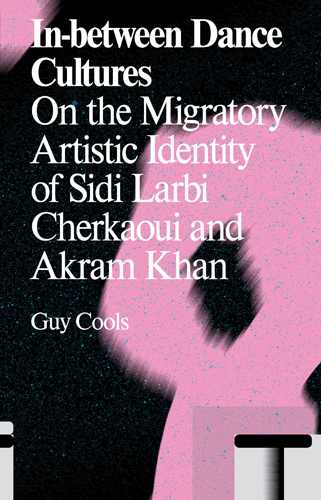 Critic Guy Cools, who has followed the careers of both choreographers since their emergence, explores Cherkaoui and Khan’s work in this volume within larger critical debates about postmodern and post-migrant identity. Connecting the dancer’s awareness and knowledge of the body to the overdetermined identity of the “migrant body,” Cools offers in-depth readings of some of Cherkaoui and Khan’s most iconic dance pieces as critical engagements with the choreographers’ migratory experiences.